Choir Croak Out Them Goodies favorite Is/Is has released a new 7-inch for "Hunter" in preparation for a new EP and summer west coast tour. "Hunter" is somewhat of a departure from their last LP, III, which was '90s-inspired, lo-fi grunge, and instead touches on the psychedelic dreampop movement that ran through the Echo Park/Los Angeles scene over the last six or seven years. But they've got so much more backbone and polish than the majority of what's been released in L.A. the last few years, and they appear savvy enough to evolve without abandoning their fanbase. Vaadat Charigim: At last, an LP. Burger Records just acquired the debut full-length by Tel Aviv shoegaze band Vaadat Charigim, and will be releasing The World is Well Lost on casssette (Indiana label Warm Ratio will release the record on vinyl). It's a stunner, a cohesive blend of all the '80s-inspired, swirling guitar pop-rock previously released as a stream of singles throughout 2012, and this is its latest video. Time to meet Alias Punch. The video below accompanies the most recent single by Orlando-based trio Alias Punch, a spacey surf/garage rock group that, quite refreshingly, not only has a sense of humor but highlights it. It would be all too easy to label the band a tribute to Man or Astro-man?, what with the pseudonyms and guitar freak-outs, but Alias Punch stand on their own as a group blending retro with current, geek irony with serious appreciation for its references, wacky kitsch with kitschy horror. Alias Punch will be touring the eastern half of the country in September and October. They will be releasing a seven-track album this year. Choir Croak Out Them Goodies: How did the members of Alias Punch meet? Jasper Bleu: Dusty [Mondy] and I met in high school in Tavares, FL. Our first interest was film but we started writing songs acoustically together under the name The Bent Cigarettes. We discovered that playing music was more immediately gratifying than making films, so we decided to go with that. We later changed our name to Alias Punch and decided to "go electric" and got ourselves a drummer. As it turns out, Arkie [Jay, original drummer] went to the same high school as us as well. We met Eddie [Graves] in 2008 and he became our drummer in 2013. CC: "Halloween '93" is, at more than thirteen minutes, your most ambitious single thus far. What made the band decide to go on an all-out jam this time around, and will the song be a stand-alone single or will it be part of your upcoming album? JB: We wrote "Halloween '93" years ago and it was supposed to end up on A New Shade of Blue but we didn't get around to recording it until 2012. It was originally written on acoustic guitar and bass and we just kinda combined a bunch of ideas we were having. We didn't set out to make a thirteen-minute song, that's just kinda how long our creativity lasted. It is a stand-alone song, but we have plans to release a 10" with "Halloween '93" on one side and "Snakeskin" on the other. CC: Who made the "Halloween '93" video and how was the footage collected? JB: The video was made by all three of us. We got the footage from old public domain movies and vintage TV commercials, as well as the occasional home video that people upload. Archive.org is a hell of a place. CC: Where were the band members on Halloween 1993? JB: I was a pirate, and Dusty wasn't allowed to celebrate because of his strict upbringing. CC: Do you all currently have day jobs outside of the band? CC: Orlando isn't exactly known for slop rock. How would you generally describe the music scene there, to anyone who's never been, and what bands, aside from yours, should I look into? JB: Orlando has a lot of different things going on, particularly in the Mills 50 district. There's usually two to three good shows going on every night. The scene has had its ups and downs over the years but right now I'd say it's on the upswing. Some good friends of ours are Tam Tam The Sandwich Man & The Magical Sugar Cookies, Jarl Q and His Twin Brothers 3, Yogurt Smoothness, Sterling Schroeder, The Woolybushmen, Thee Wilt Chamberlain, The Moon is a Disco Ball, Maximino, Zap Dragon and the Attack, Telethon, The Sexcapades, The Dark Sixties, Wet Nurse. I could go on and on but that's just a little taste for you. CC: I got a kick out of "Snakeskin" -- how did the band get paired up with the movie of the same name? JB: We had a friend that was helping some guys at Full Sail make a short film, and we were asked to make some music for it. We wrote the song in like an hour. The film is not very good. Dusty and I also make an appearance in the film. Dusty falls down at a party wearing a crown and I'm in the background with a camera filming my hand. CC:Who is your favorite Golden Girl? JB: I like Dorothy, Eddie likes Blanche, and Dusty likes Sophia. Will Stratton tribute album and fundraiser! Singer-songwriter Will Stratton has made several appearances on these pages; most recently, as part of my list of 2012's best records (Post-Empire). Also previously noted here was his battle with stage three testicular cancer. Happily, I can now write that he has won, and is in the process of selecting a cover for his fifth album, tentatively named Gray Lodge Wisdom, which he's been writing during the recovery process. The single downside to his recovery, however, is that since the good news has been announced by his family, donations to his medical fund have ceased, and as of March 31, his fund has raised an amount just over $23,000. This is generally a decent amount of money; however, if you are underinsured and require specialized treatment (in the U.S.), $23,000 may only be a fraction of what is required to get well. He has been through several major surgeries and four rounds of chemotherapy, and in order to be treated, had to leave behind a job and relocate for the better part of a year. That said, a number of his musician friends collaborated on a covers album in tribute. All funds collected from the digital purchase of this album will go directly to Will's account in order to assist him with his medical debt. Purchase below, or purchase one of his original albums via his own Bandcamp page. An official decree banning all western music was issued on 22 August by a heavily bearded Islamist spokesman in the city of Gao. "We don't want the music of Satan. Qur'anic verses must take its place. Sharia demands it," the decree says. The ban comes in the context of a horrifically literal and gratuitous application of Sharia law in all aspects of daily life. Militiamen are cutting off the hands and feet of thieves or stoning adulterers. Smokers, alcohol drinkers and women who are not properly attired are being publicly whipped. The Northern Mali conflict began in early 2012 with the National Movement for the Liberation of Azawad (MNLA) looking to make Azawad, part of northern Mali, independent of the Malian government. The MNLA, run by Tuaregs, took control of Kidal, Gao, and Timbuktu after Malian President Amadou Toumani Touré was overthrown in a coup d'etat, and proclaimed Azawad's independence -- however, Ansar Dine sought to enforce Sharia law, and Ansar Dine and MNLA fell into their own conflict, resulting in Ansar Dine's takeover. As of January of this year, the French Army was called in to help the Malian government regain control, and launched Opération Serval to intervene on the Islamist takeover of Konna from the Malian army. Chad came in, the U.S. sent troops to Niger, bordering Mali, in order to assist the French, and set up a new air base to conduct surveillance against Al Qaeda. Bringing us up to speed, in July 2013, the UN will launch a 12,600-person Multidimensional Integrated Stabilization Mission in Mali (MINUSMA) to restore democratic governance and the presence of an election process. This is a very complicated conflict and the role of MNLA has shifted several times. What is certain, however, is the food insecurity brought on by the conflict; on April 29, the Guardian reported that the UN claimed "282,548 people [are] registered displaced in Mali, and almost 50,000 refugees are in Burkina Faso and Niger, and 74,000 in Mauritania." This, in addition to Algeria closing its border to Mali and cutting off another food route. The Guardian also wrote that "one in five households faces food shortages categorised as 'severe' in northern Mali, and 'extreme' in the Tessalit and Abeibara districts in the Kidal region," partly a result of "herders [being] unable to use traditional pastures and water points," and the departure of NGOs, which typically "created employment for local people, which brought income, and invested in food security" via purchase of seeds, fertilisers, water pumps and fuel for irrigation. 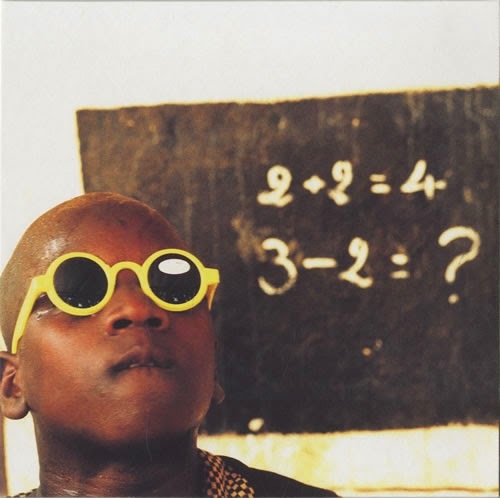 It now seems an appropriate time to look back at Mali Music, a 2002 album led by Damon Albarn, then asked to play Oxfam ambassador, in collaboration with a number of Malian musicians, including kora player Toumani Diabaté and Afel Bocoum, nephew of Ali Farka Touré. Released eleven years ago, at the height of Gorillaz' popularity and just prior to Blur's return with Think Tank, Mali Music was a British effort that never really got much mention in the U.S. It was made using a back-and-forth process that involved Albarn traveling to Mali with a melodica and playing casually with Malian musicians, returning to London to edit the music, and sending his work back to Mali for vocal additions. The result is a combination of efforts that could have easily worked on a Gorillaz album ("Le Relax" in particular) and those that appear virtually untouched by his hand, such as the beautiful "4am at Toumani's" and the brief "Kokanka Sata Doumbia on River." And while it'd have been great to see a record with more of the latter -- which means that, yes, the record was successful in piquing my interest in Malian music -- the fussed-with tracks are nothing to scoff at and contribute to a cohesive tribute, rather than serving to point out the differences between Western and West African cultures. During last year's conflict, Albarn returned to Bamako, Mali, to again collaborate with Bocoum. The music to result would aim to help raise awareness of the country, as well as funds for Oxfam relief of food insecurity brought on by a combination of drought and the mass exodus to an already-struggling Niger, Mauritania, and Burkina Faso. 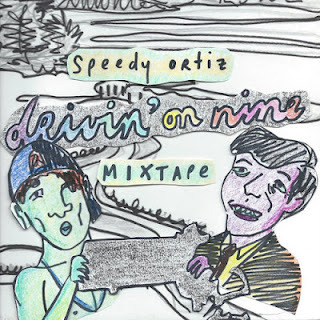 Itsa Mixtape That I Didn't Make! What better way to return from a hiatus than with a mixtape from the always-excellent Speedy Ortiz? The Massachusetts-based band has made a Massachusetts-themed mixtape for Impose Magazine, and it's nearly perfect, inclusive of the Swirlies, Helium, and Bel Biv DeVoe. Meanwhile, they've got a debut full-length due out on Carpark Records on July 9.